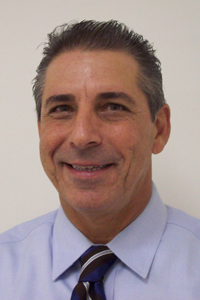 RONKONKOMA, NY -- CIRCOR Aerospace, Inc./Aerodyne Controls, part of CIRCOR International company (NYSE: CIR), has selected Joseph Franco as Quality and EH&S Manager for the Aerodyne Group, reporting directly the general manager, Daniel R. Godin. Joseph will be responsible for leading the quality group and leadership team to continue process control as a priority focus. Joseph will also be responsible for EH&S compliance, as well the preventative measures to uphold Aerodyne’s outstanding safety track record. Joseph recently held the position of Operations Manager for Unison/General Electric and prior to that was the Co-Plant Manager and Continuous Improvement Manager with Arkwin Industries for almost 30 years. “Joseph is a Six Sigma Black Belt with an intense focus on quality and operational improvements and will be a great addition to the team,” said General Manager Daniel Godin.